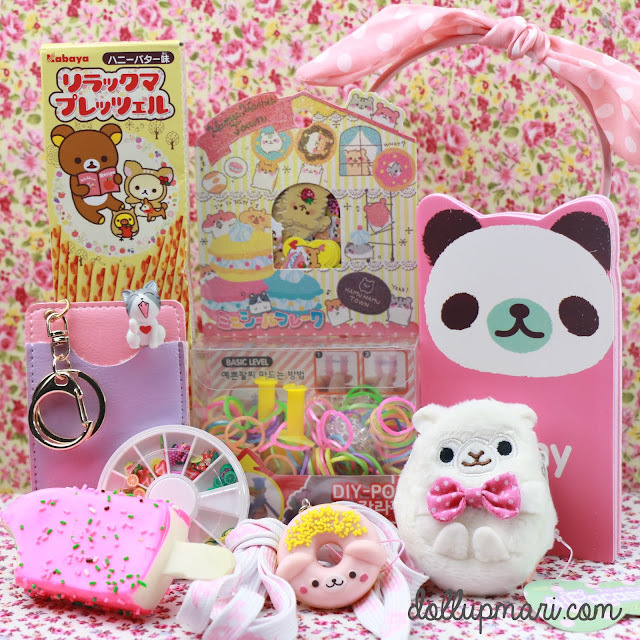 Kawaii Box Review + Giveaway! 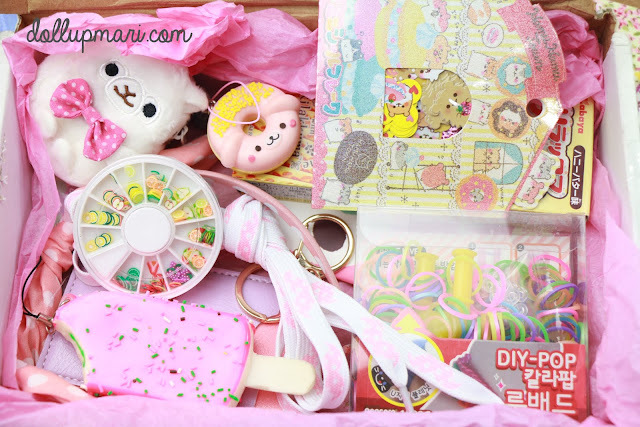 If you thought beauty boxes were fun, wait till you see the cutest box in town, the Kawaii Box! Yipee! 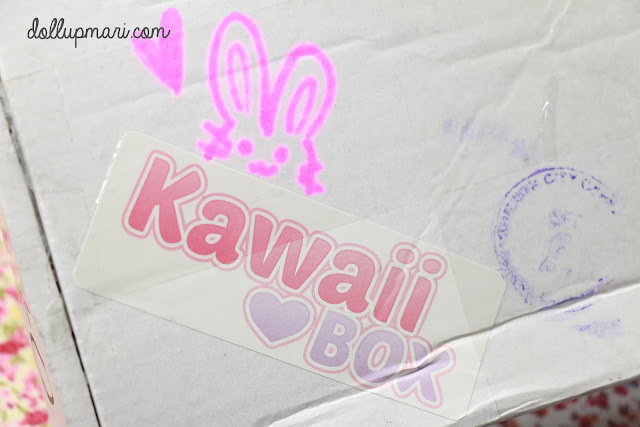 The folks at Kawaii Box were nice enough to send me a box so I could show you guys all about it. 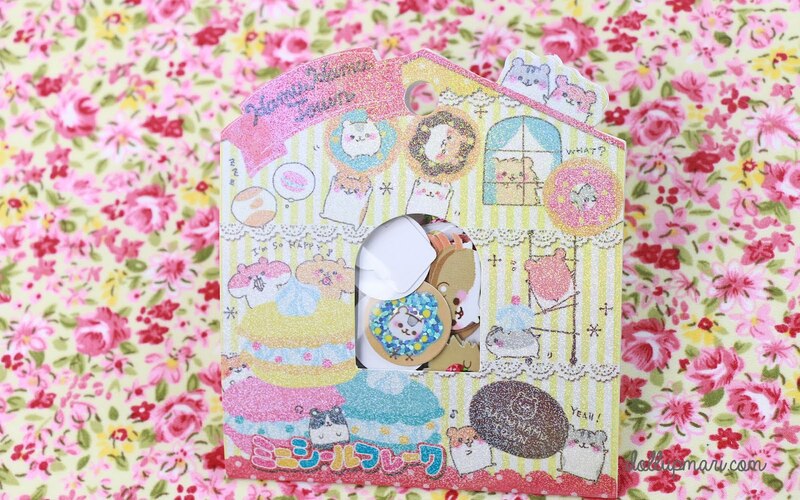 For starters, Kawaii Box, is, (you guessed it! ), a subscription box program wherein they send you 10-12 cute kawaii items per month. 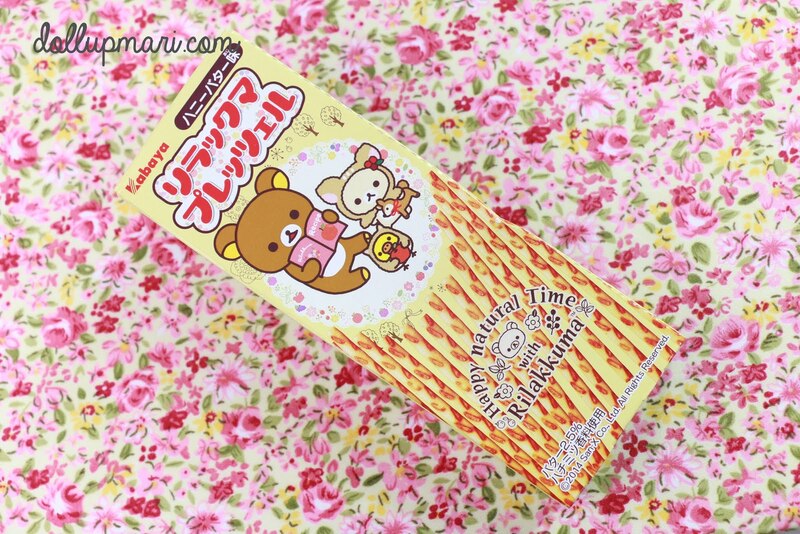 They charge S$18.90 for each box, but the retail value of each box (since they contain original cute stuff all the way from Japan and Korea) could reach up to S$35-40. This is supposedly their September Kawaii box, but due to customs problems, and simply the long distance from Singapore to the Philippines, I got the box about a week ago and it's only now I'm able to blog about it. This is the box itself. It's probably as big as an iPad mini, and about 2 inches thick. This usually arrives to the receivers in good condition, but I'm guessing that it must have been battered on the trip to the Philippines which is why it already has a lot of dents and tears. But that doesn't really matter. Look at the hand drawn bunny! Who has the time to actually draw these bunnies on hundreds of boxes each month? Tell me! And yeah, when you get to the contents, the state of the box really just doesn't matter anymore. My mom picked this up at the post office for me, and when she took it home, my dad was also around. To my surprise, they were even more excited than me to open the box, and ooh's and aah's filled the room when we got to see this view. And I know you're excited for a blow by blow account of the items inside, so here they are. 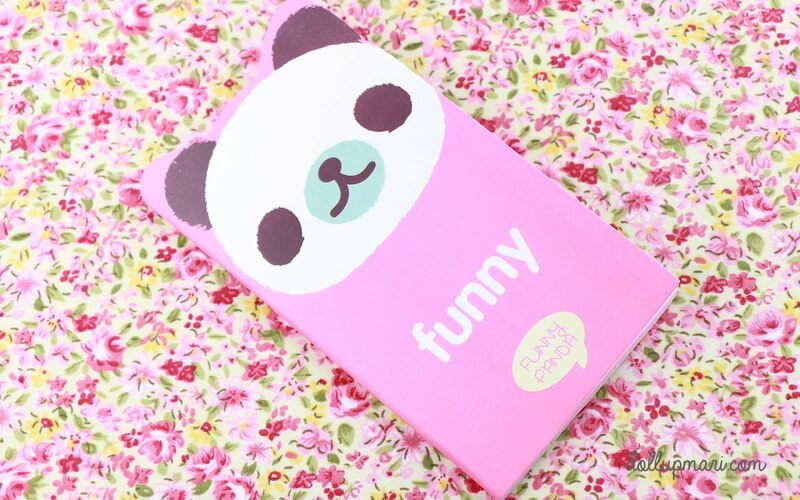 The first item is this panda design notebook. 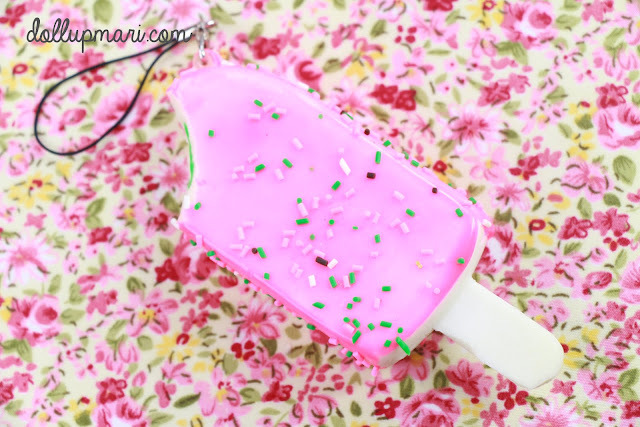 Inside it's got plain pink paper in it. 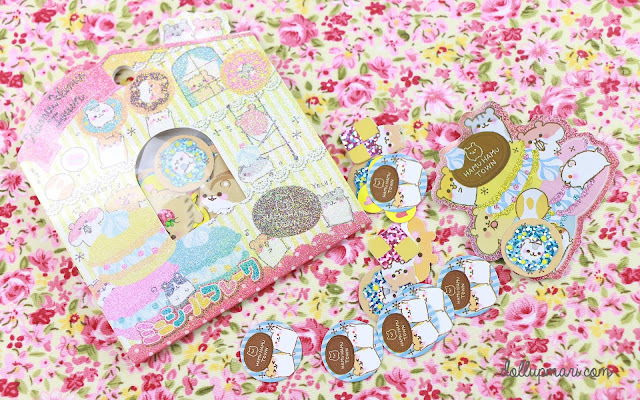 And here are Hamu Hamu Town stickers. This set probably has about 60-70 stickers based on my estimation... Some stickers are hologram, and there is a big mother sticker inside. I think they also kinda want me to join the hype so here is a box of loom bands. I'm sad that I'm so busy right now I don't think I can dig into this yet. I'll probably have to wait until the semester ends until I can enjoy this. And look! 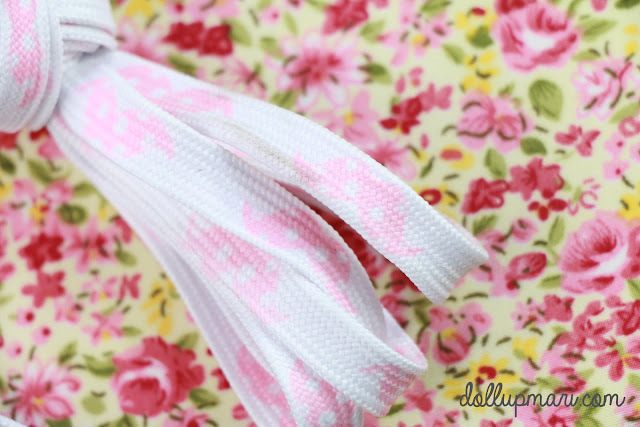 They sent me a pair of shoelaces with mustaches on them! 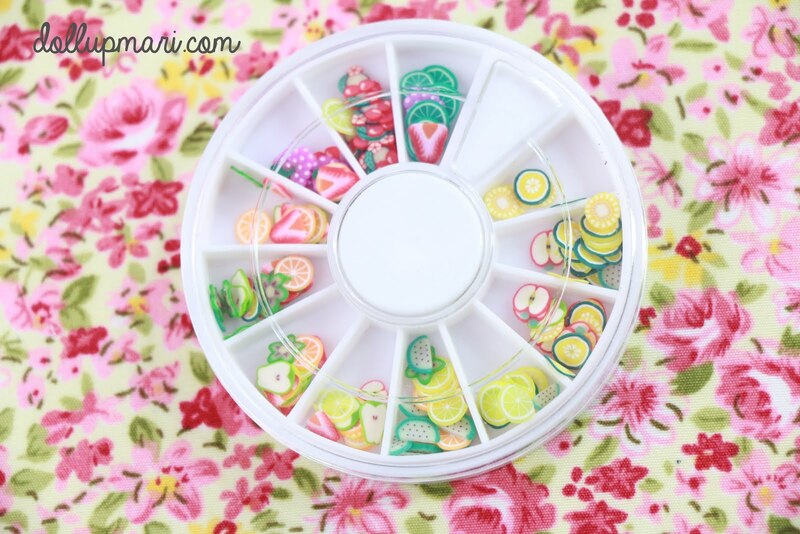 Since they make it a point to put something relevant for the DIY junkie every month, they also put in this wheel of fimo slices. I'm not exactly sure as to how this can be used on the nails without acrylic gel, but I'm excited to use it on my decoden though. They also sent this foam popsicle charm. It's cute, but unfortunately it sheds a lot of toppings hahaha. This is suuuper cute. Whoever thought of combining doughnuts and bunnies should have a special place in heaven reserved for them. True to their holistic kawaii approach, the food item in this box is Rilakkuma stick snacks in honey butter flavor. And like OMG OMG OMG, this is the item that I loved the most in the kit. 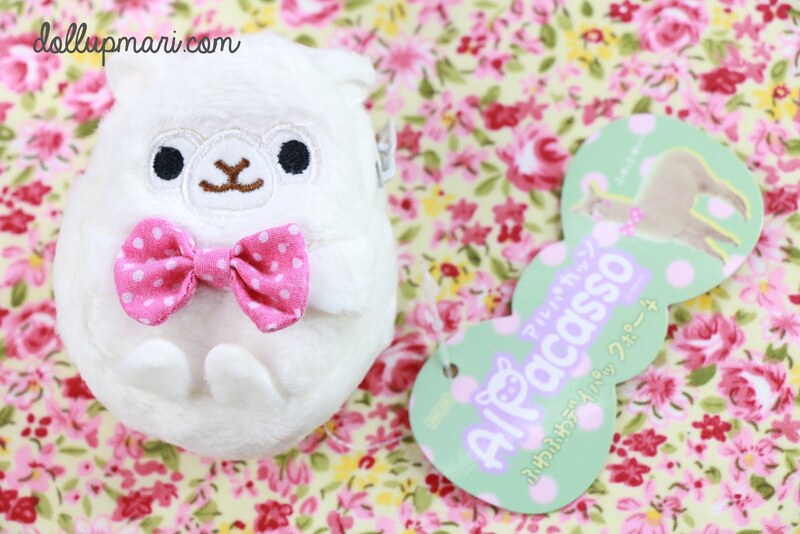 This is an Alpacasso backpack baby pouch. Yes, an Alpacasso backpack baby pouch. 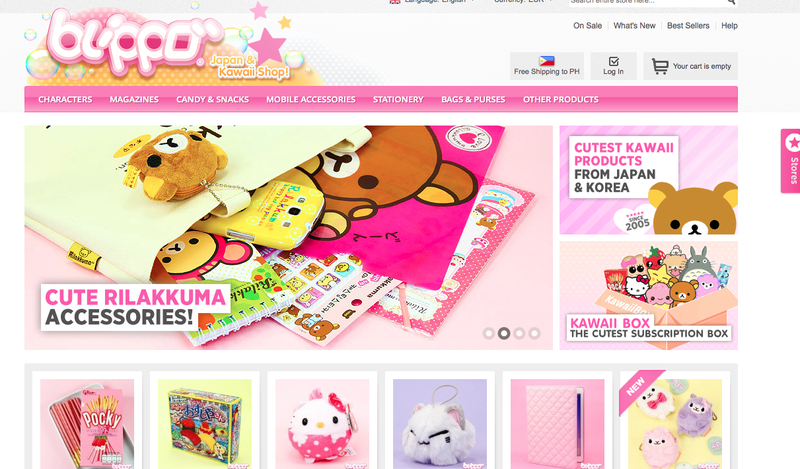 It's just as big as a credit card, is shaped like an alpaca, and is a coin purse/ pouch all at the same time. I've always liked alpaca products though I've never bought them (I usually don't because I always see pencil cases, and a divinely white alpaca pencil case and the real world in the Philippines do not go well with each other). Wah wah wah I cried so cute. 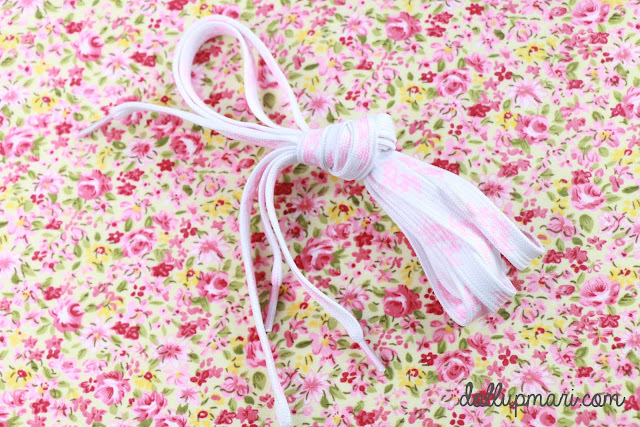 Many alpaca, very ribbon, such adorable. 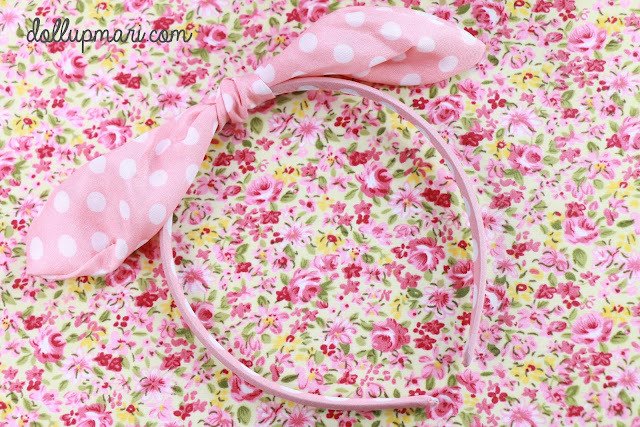 For those strong ladies like you wanting to be the pinup poster girls, they also have this bow headband included in the kit. This surprisingly does not cause tension pains, although I'm generally just not the headband person which is why it's mama who'll prolly use this and not me. 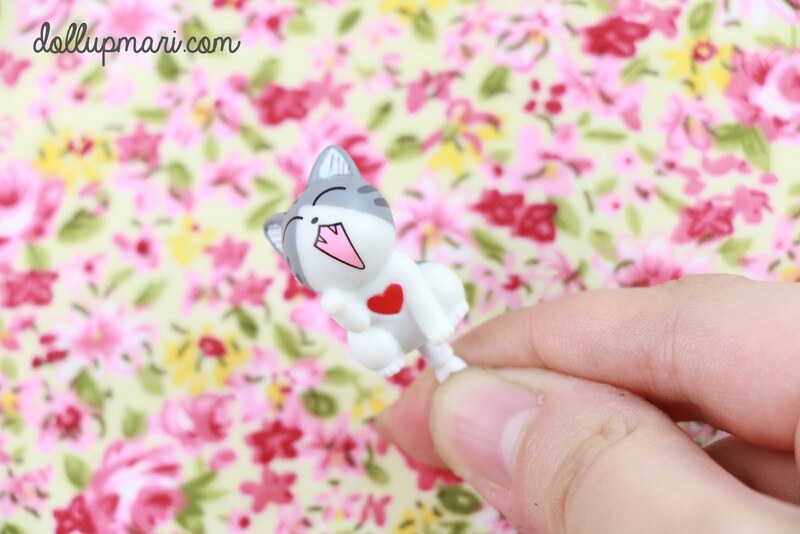 They also piqued interest in the crazy cat lover in me with this kitten dust cover. Too bad that I use earphones often on my phone which is why this will probably go to my mom's phone too. I'm scared that in the process of constantly interchanging my earphones with this that I might lose this given how small it is. The last item to feature is this keychain that serves as a train card holder (perhaps? 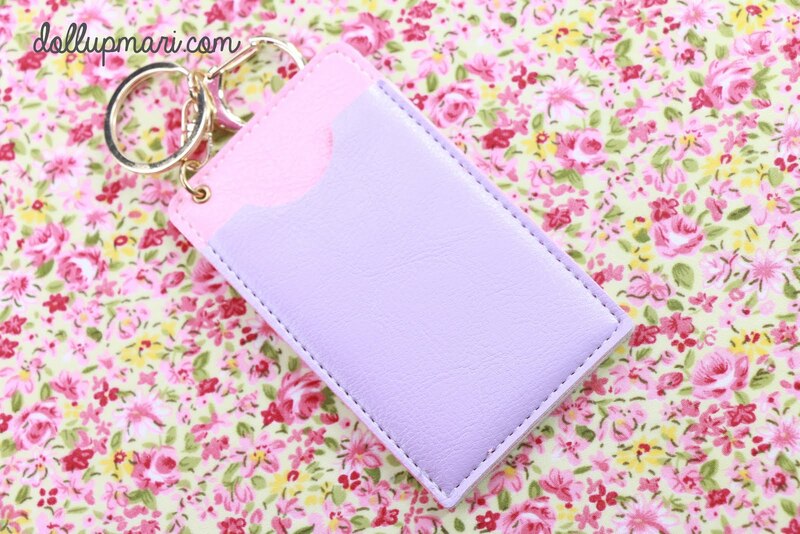 ), or a card holder in general. I like how they also include purely practical items like this to balance the purely aesthetic purposes of some of the other items. If you scroll back to the first photo in this post, on the other side it's got a lilac panel to it. 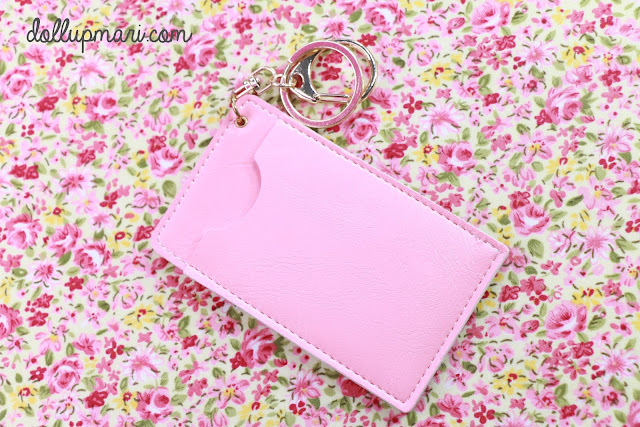 And no, the keyring is not pink, I just used a fuschia colored cover over the item while I was taking the photo so the gold keyring reflected it. And here is the card it came with. 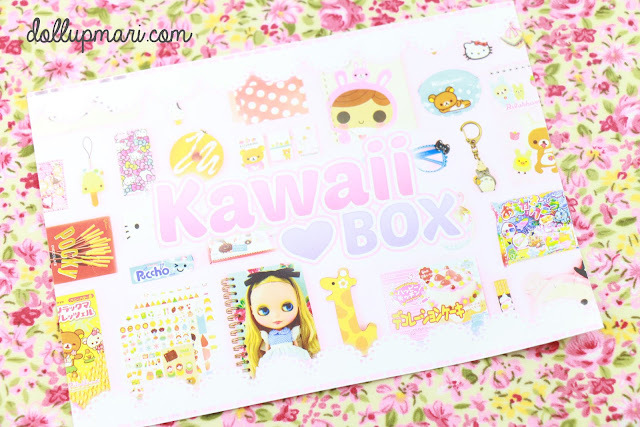 And well, make it known to mankind that every month someone can win a kawaii box so if I were you, post now. Lastly, if you're interested not just in the box, but to buying the individual items in it, you can visit them at blippo.com and that's where a lot of the kawaii magic is. Like look, how can you not want to shop at a place like this? And actually, I checked out some of the items from the box on the website and found that the Alpacasso backpack charm is already S$9.47, the Rilakkuma honey butter snack sticks at S$4.01, the fruit fimo slices at S$4.66, and the loom bands at S$3.53, making it so that even just counting four out the twelve items they sent, the retail value is already beyond the price of the box. 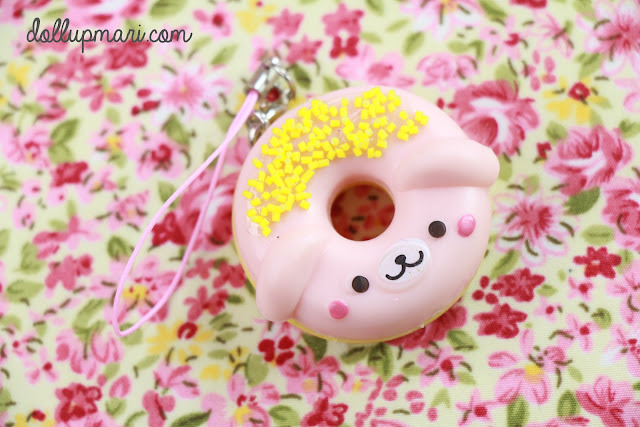 If you're also curious, they also have the headband, doughnut charm, and soft popsicle charm on sale for S$4.66 each. They'll probably be adding more items from the box as the days pass by. 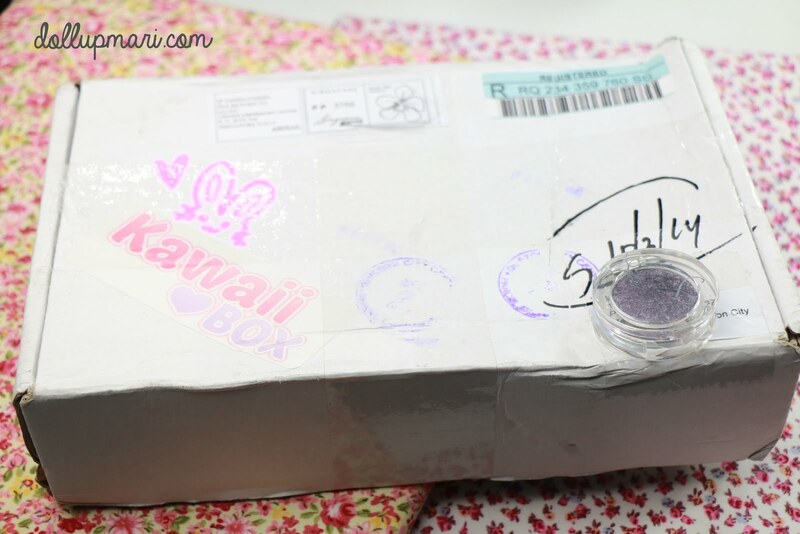 Overall I really love the concept of the box, and I think it's a breath of fresh air to all the beauty boxes. I like that since I do not put any of these products on my face or skin, I can technically use all the items all at once, contrary to if I were sent a box of makeup or skincare. In summary, too, the BOX IS WAYY TOO CUTE FOR MY LIFE DO YOU UNDERSTAND ME OMG OMG OMG. 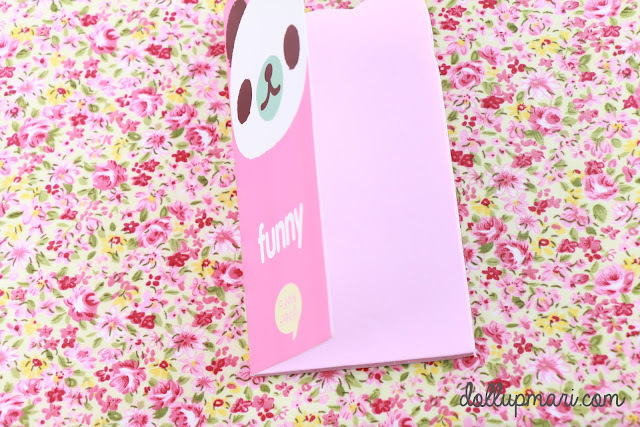 And the items look so good in soft focus huhubells. 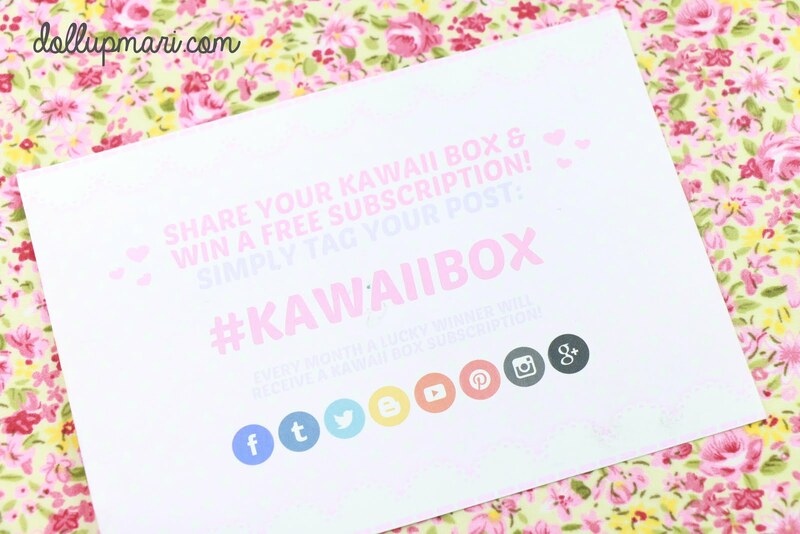 So anyways, here's how you can win next month's kawaii box! Simply follow the instructions provided by the Rafflecopter widget. The winner will be selected and will be contacted by the Kawaii Box team. Joined the giveaway; crossing my fingers! If I subscribe for the kawaii box, it would most likely be held up for customs? It depends on what you're country yo're in. In the Philippines though, while the package was able to arrive to me, it took an excruciatingly long period of time (about two months even if it's just from Singapore), so I guess it was stuck in customs for a while, too. Hello. I just want to ask how much did you pay in the post office when you claimed your box? Thank you. Hello human! I paid Php50 at the time for transaction fee/taxes/claiming fee rolled into one. But they have raised prices already so it was Php100 the last time I paid for something in the post office.